Sometimes people can make really beautiful things, and sometimes they can do that little bit more making an already beautiful object into a form of art. Russian Dmitri Goubenko is one of those people. Look at what he made. 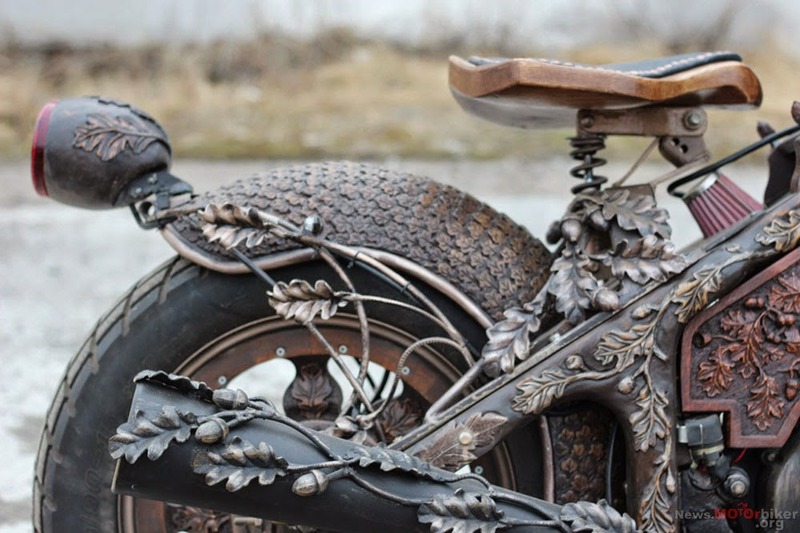 By using wood in motorcycle building is not a new practice, but Dmitry Gubenko's carved wood custom bike beats everything we have seen so far. 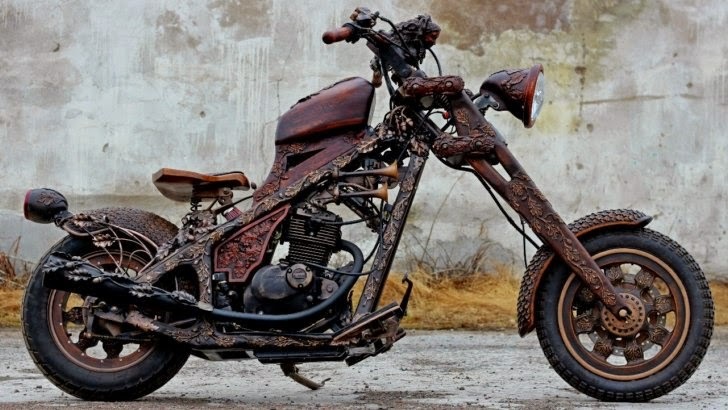 This is a motorcycle made out of mostly wood. It is a real motorcycle, so it works. 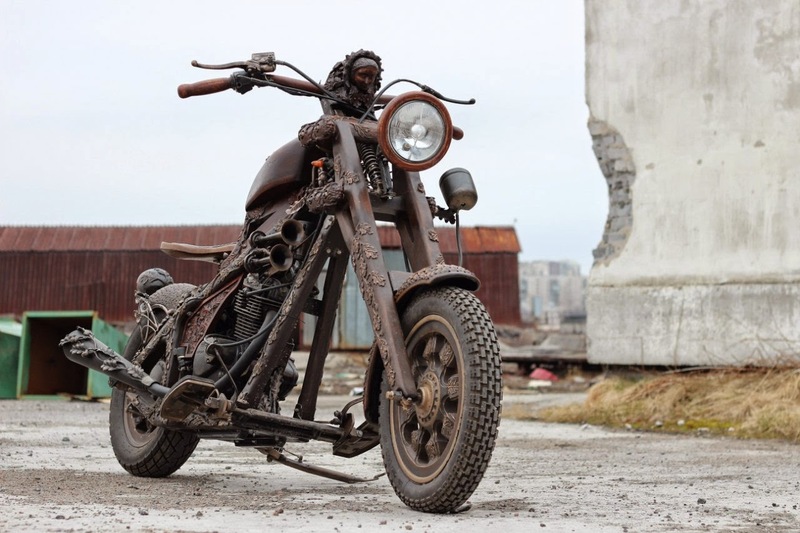 The frame and engine are obviously not made out of wood, but the rest is, and it is hand carved. 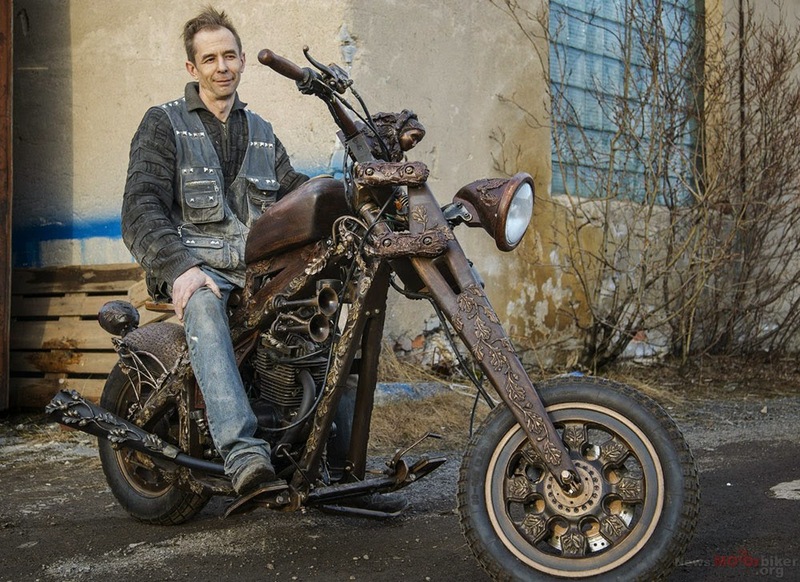 He may have exaggerated a bit, as Dmitry took two years to complete this build, but the result is breath taking. The amount of detail makes us thinks about the almost insane sculptures of old gothic cathedrals.